A couple of weeks ago I wrote about a few bad habits you want to stay away from when photographing at a Disney property. This week I want to go over a couple of good habits. I am often asked how I get such good photographs of Walt Disney World. 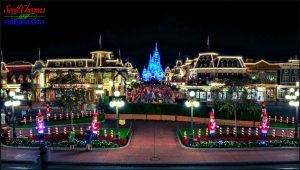 I do a couple of … Continue reading "Disney Photographer Habits Part 2"
Even with today’s software tools like MacPhun’s Intensify, I still find taking a set of photographs to create High Dynamic Range or HDR images worth my time in the field and in the digital dark room. With my cameras from Nikon, it is easy to create a bracketed set of image from -2 to +2 … Continue reading "Still Using HDR at Disney’s Animal Kingdom"
Did you get a new camera for Christmas? Make a New Year’s resolution to learn how to use the fancy camera you got last year or the year before or a few years ago? Let me get you started. This post is for those using a digital SLR, mirrorless or advanced point & shoot cameras. … Continue reading "Disney Camera Tips to Start Out 2017"